So what some of us had expected has finally come to pass. 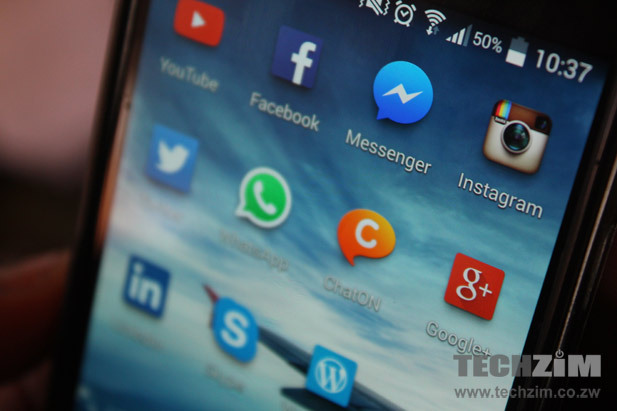 Those WhatsApp, Facebook and Opera Mini bundles from Econet Wireless have been tweaked. It’s not just a price thing, but the lineup is now a bit different. Starting today, Econet is now offering two versions of its WhatsApp, Facebook and Opera Mini Bundles. Tagged as Lite and Extra, they both offer connectivity to the respective services but have different access privileges. The Lite bundles, which stick with the same pricing structure that we’ve had all along, do not allow downloads of media files and have a slower speeds. The new version bundles, called Extra, allow downloads and a have faster speeds than their cheaper, older siblings. The cost, however, is as good as double on all packages. WhatsApp Extra is pegged at $1, $2 and $6 for the respective daily, weekly and monthly bundles. Opera Mini Extra is going for $1 for unlimited daily access and the 3-day access bundle is set at $2. For Facebook bundles, Extra costs $2 for weekly access and $6 for monthly access. WhatsApp calls are not available on both Lite and Extra versions and the same applies to Facebook Messenger calls. For those two, you need data bundles or actual airtime. It would seem Econet has just put the old price tags on services that they have been throttling and denying that they have been anyway, and started us on a new regime that makes economic sense for all the data we use for the bundled services. If like most subscribers, you were enjoying the beauty of media file downloads (music, those funny audio clips, leaked pics and videos, funny skits, memes etc), essentially the things that made WhatsApp and Facebook bundles awesome, you have to fork out more. Like most other users, I can’t imagine WhatsApp without the rich experience of shared videos or images and these days, without videos, Facebook becomes rather boring really. But Econet is in business, and if its financial results were anything to go by, the inspired network needs to lean more on broadband. Ok, you want an internet service that should come with the rest of the internet, but let’s get you to pay for that only. Hang on, if you want a full experience of that same service, why not pay more? One group that has been affected are those content creators who have built distribution and marketing plans on the consistent access to these bundled services. They now have to face the fact that not everyone will sign up to a WhatsApp group for those videos. If they do, they just might not be getting those videos or songs. For Econet, this means more revenue, and now there’s the allure of multimedia and the frustration of slow access on Facebook, WhatsApp and Opera Mini doing all the advertising for the network. The most likely reaction from subscribers is to jump ship to Telecel and NetOne, but that’s as good as outrunning a desert storm. The other operators aren’t daft. They also want to boost their Average Revenue Per User (ARPU) in the same way Econet will do because of this. Both networks have mastered the art of “concept and product reinvention” or simply, copying the competition. You can bet that Telecel and yes, eventually NetOne, will have their own Lite and Extra versions (look out for names like Super and Plus). The potential winners are the WiFi providers here. Lately, all WiFi hotspot players have emerged with a more visible play for the mobile subscriber market. There are going to be a lot of people who won’t want to surrender any more money than they already do to mobile operators, but wouldn’t mind a cheaper alternative for mobile internet. If guys like Telco, ZOL and Africom package and price their service properly, it could gain a lot of following because of this. Africom already has free access to WhatsApp on its hotspots. I guess pitching unlimited WhatsApp downloads or viewing of P.O BOX, King of Selfies and Ann Kansiime videos on Facebook from your hotspot isn’t such a bad idea now. It Is So Much Excellent Technology. Unable to contact anyone at econet to ask for log on code for whatsapp. Have upgraded phone and lost my whatsapp facility. Does the Opera Mini Extra Bundles have a limit? Hi buddies can you guys find out for me what’s happening,i bought whatsapp monthly bundles on the 03-11-2016 on my MBCA bank account 141016057919 and my mobile number is 0772950906 pliz help guys.